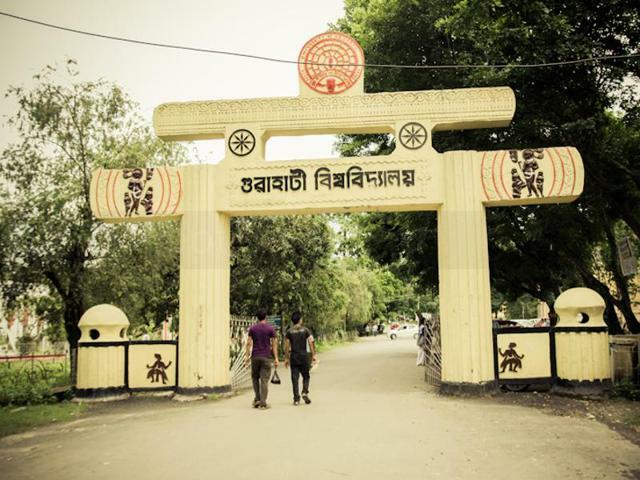 The Gauhati University has invited entries from architects and firms for the construction of the Centre for Brahmaputra Studies at its campus. The invitation has been extended to architects and firms registered with the Council of Architecture of India. The Limited Architectural Design Competition will be an opportunity to get the best architectural design for the centre for the iconic centre. Participants have to present a site layout with a preliminary landscape plan representing the environment of the centre, a concept design in terms of elevation, plan and 3D view representing the objective of the centre, floor spaces with the functions of the building programme. The structure is proposed to conform to environmental and energy conservation norms as per the green building concept. Online registration will remain open till August 30. The last date for online submission of the final proposals is September 30. Following the Standing Finance Committee’s approval, the Union DoNER Ministry recently released funds through the North Eastern Council to set up the centre within March 2020. This is the culmination of a sustained effort by Gauhati University Vice Chancellor Dr Mridul Hazarika and a proactive initiative by DoNER Minister Dr Jitendra Singh since 2015. In July, Gauhati University constituted a 16-member steering committee with Prof BN Goswami, an eminent scientist and former Director of the Indian Institute of Tropical Meteorology, Pune, as the chairman to advise the authority for setting up the centre, reports The Assam Tribune. The centre is currently running from its temporary facility in the second floor of the university’s Anthropology, Geography and Geological Sciences building.